Brickblock is bringing a whole lot of innovations to the digital currency world with a new perspective and a novel option for users. On Brickblock, users have the options of choosing from a large range of assets. Operating on the same platform, users can invest in assets such as Exchange-Traded Funds (ETFs), Real Estate Funds (RTFs), active Coin Managed Funds (CMFs), as well as passive Coin Traded Funds (CTFs). With the Brickblock platform, users can invest in these assets at a relatively low cost, compared with other platforms currently in existence. Coming as a Decentralised Application, Brickblock is designed to operate on the Ethereum blockchain. This will enable fund managers and broker-dealers to have their investments properly enumerated and displayed on the Brickblock platform. Before the investments are listed, they will go through a verification process. Brickblock makes use of the Proof-of-Asset (PoA) token. 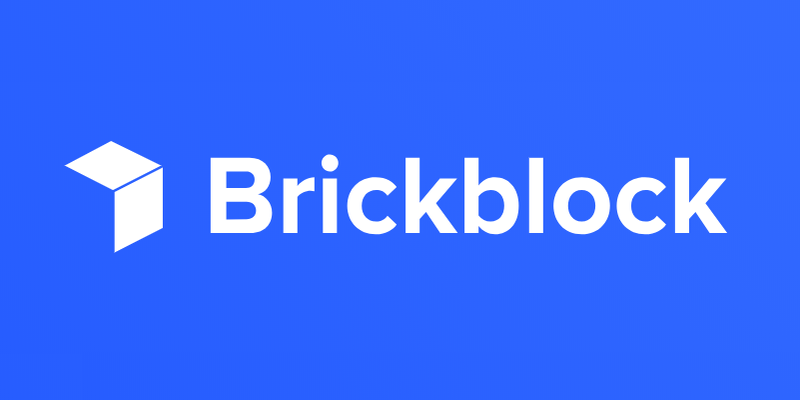 It is through this medium that funds and assets are entered on the Brickblock platform. With the Proof-of-Asset token, investors can take advantage of the hedging opportunity which helps cushion the large degree of volatility that regularly characterizes the cryptocurrency and digital financial markets. Brickblock has published its whitepaper which gives a whole lot of information about the project. Taking a quick perusal of the document, one can know a whole lot about this blockchain and cryptocurrency investment innovation. The whitepaper gives a whole lot of information about the history and intricacies of the Token. It gives further information about general market volatility. It tells people how the fluctuations in the market will affect or influence the Token, jointly and individually. This information is very useful to investors as they can make better investment decisions. The current world of digital currency is faced with a lot of challenges. Some of these challenges are high volatility, counterpartying, Trading Restrictions, High Costs and Complexity in Conventional Stock Trading, the risk of safe investment in a crypto basket. Brickblock whitepaper makes effort to address each of these challenges plaguing the crypto market and brings forward solutions towards solving them. An organization or company is only as good and as functional as its team. Where a company has a well versed and highly experienced team, it is very likely to achieve excellent results through its management process. Brickblock can boast of a broadly diverse team. Its team is made up of persons who are key players in several spheres and facets of the society, especially in the areas of science and technology. The team has market analysts, programme developers, programme writers, and a whole lot more. All of these guys are coming on board with a wealth of knowledge which they had acquired from their distinct fields of endeavor. Find out more in this interview with Jakob Drzazga, the CEO of Brickblock. Brickblock is centered around helping us take part in real-world investments through a tokenized trading environment and investment platform. So where a real estate transaction is negotiated successfully, the seller will be able to upload his title and interest over the property on the Brickblock platform, using the blockchain technology; and the buyer is also able to, on the other hand, transfer funds and receive all interest – both proprietary and real – over the estate, through the use of the same crypto assets and the blockchain technology. Following the responses on Social Media, there is no gainsaying that members of the public are filled with faith in the Brickblock project. Little wonder their ICO targets are very high and are at the same time enjoying a great deal of patronage. The road to success most times looks dark and gloomy. It takes a disciplined mind to see beyond the current shades and recognize success at the end of the tunnel. Brickblock is a new cryptocurrency on the block. It promises to come on board with a whole lot of improvements and advancements to the digital currency world. Taking into consideration its set out goals, its aims and objectives, and with the super and exceptional management team it has put together, it is believed that Brickblock will be able to drive through and set sail successfully through the stormy waters, and arrive at the shores of success, as far as achieving its goals are concerned. The world of digital currency is currently entrenched with so many rules and regulations which help to maintain stability and risk-free open operations and trading in the market. To ensure that these rules are kept, there are several regulatory bodies set up to ensure strict compliance with the regulations. Brickblock, as a player in this industry, is playing by the rules and keeping the regulations. Brickblock is going through its ICO, and it is carried out in compliance with the cryptocurrency market regulations. Offering a total of coins more than $250 million dollars, this is about the biggest and largest ICO the market has witnessed in a while. The ICO is live now, invest in Real Estate, ETFs and Coin Funds by getting the BBK Token.